Before I get to the main event, I should mention that Linda had an awsome breakfast today... but it was gone before I thought to take a picture (this could be a problem with lunch someday... I mean how often do you hear - "Lunch is served" and think, "now, where is my camera?" 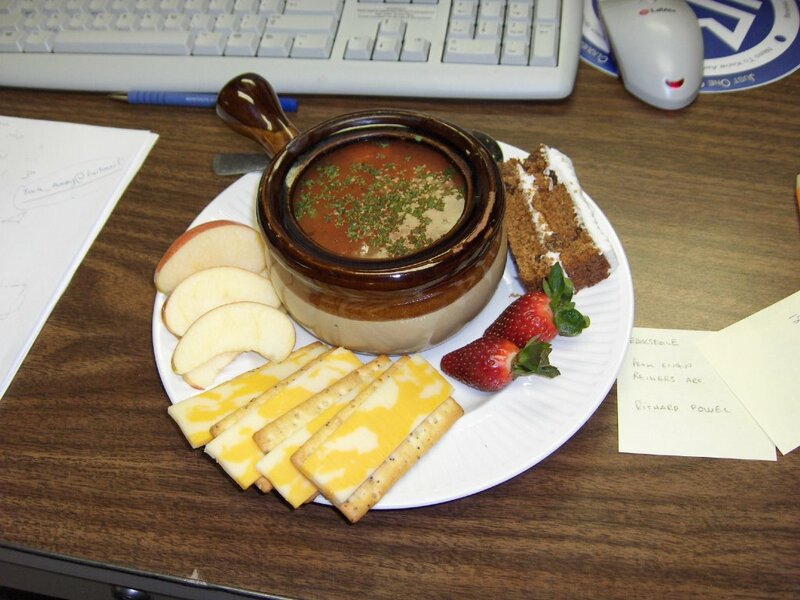 This is Vegtable soup with cheese and crackers, some apple and carrot cake for dessert.